Year: 1910 Item #: 85 Views: 3,314 Comments: No Comments. Photo portraits of 'K' Footwear for Ladies. 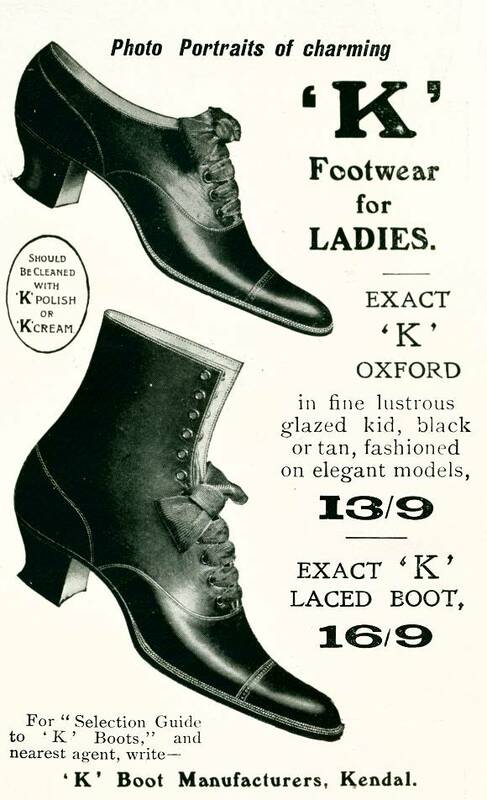 Exact 'K' Oxford in fine lustrous glazed kid, black or tan, fashioned on elegant models. 'K' Boot Manufacturers, Kendal.